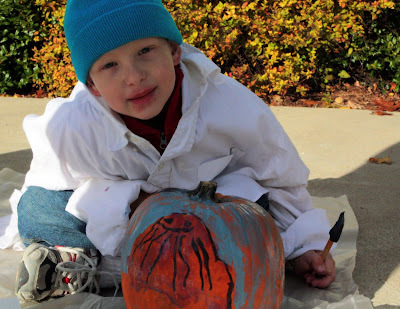 He also painted a jelly fish, an octopus, Arthur, Buster, ...the list goes on. 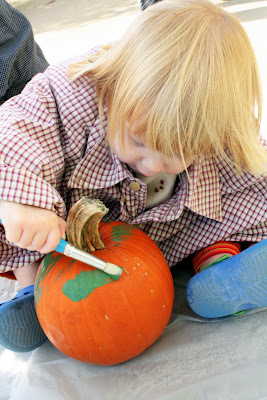 He was quite a prolific pumpkin painter. What a fun activity!